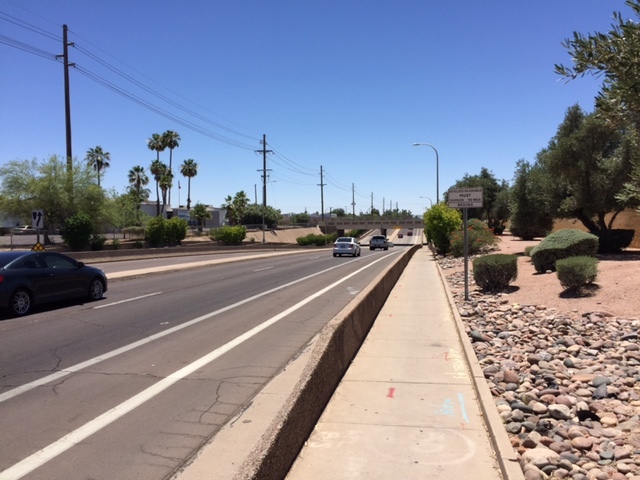 Thanks to a Tempe taxpayer who reads our website and wrote to us with some observations made while taking a bike ride on a Friday. 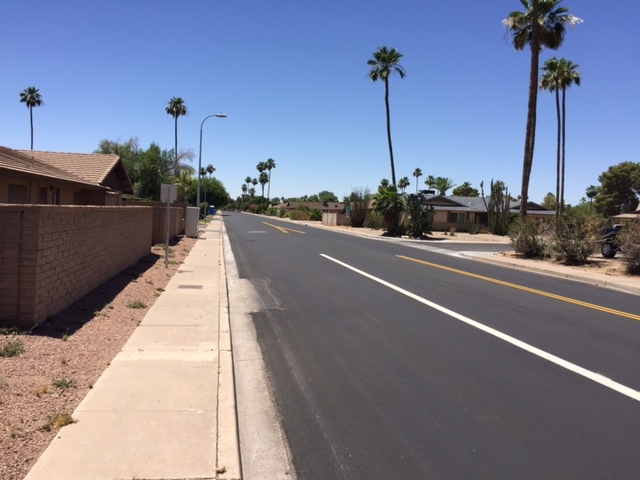 Our cyclist took pictures of Country Club Way, north of Baseline. This is a quiet artery in a neighborhood with only homes, a park, and a closed school. The sidewalk appears to be wide enough to be able to handle all the bike traffic, and those who want to use the street seem to have plenty of safe space. The photo above is Country Club Way at Southern. 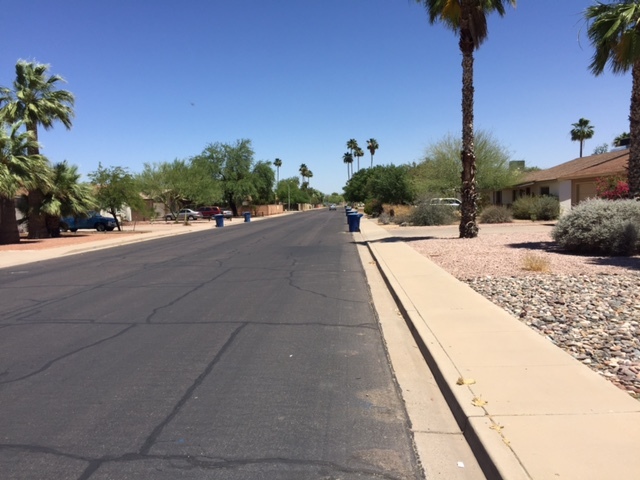 The story is the same–a quiet neighborhood, no bikers, an easy ride. Country Club Way north of Southern already has bike lanes; no need to spend any “free” taxpayer dollars on this stretch. Ooops, he is using the sidewalk. 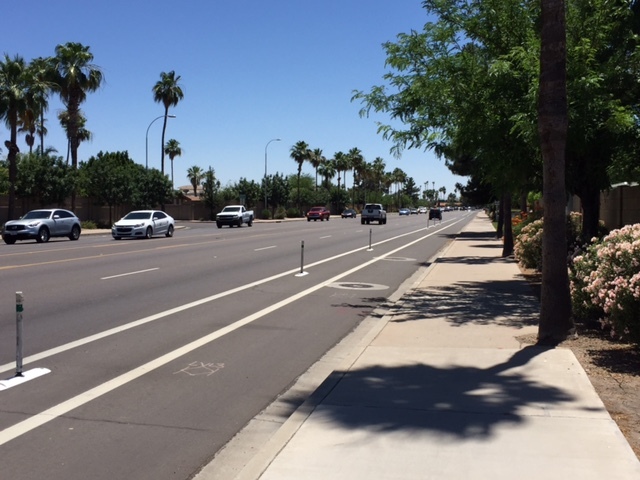 He may not want to risk his life in the dangerous and confusing McClintock bike lanes, even though Councilwoman Lauren Kuby tells us they are safe. 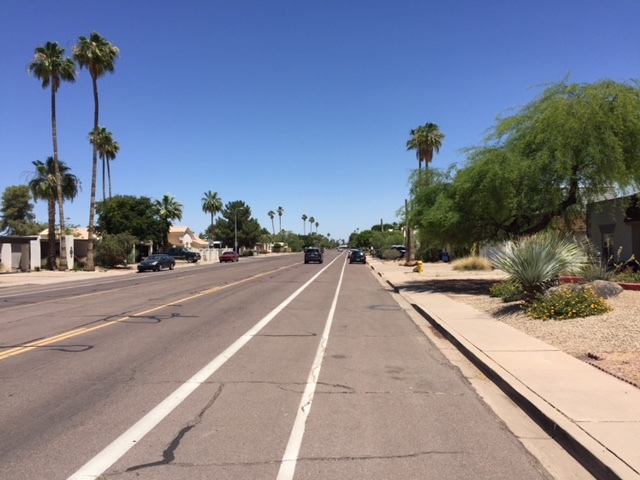 Thanks to the taxpaying citizens of Tempe who ride bikes and send us photos. 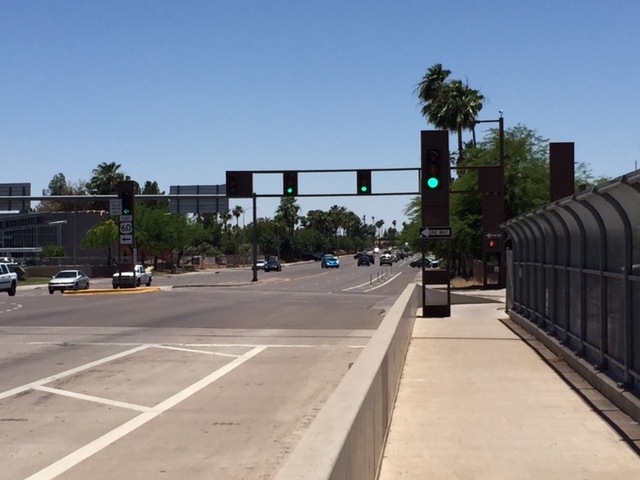 We are glad to report the truth about the underused, dangerous, and overpriced Tempe Bike Lanes. 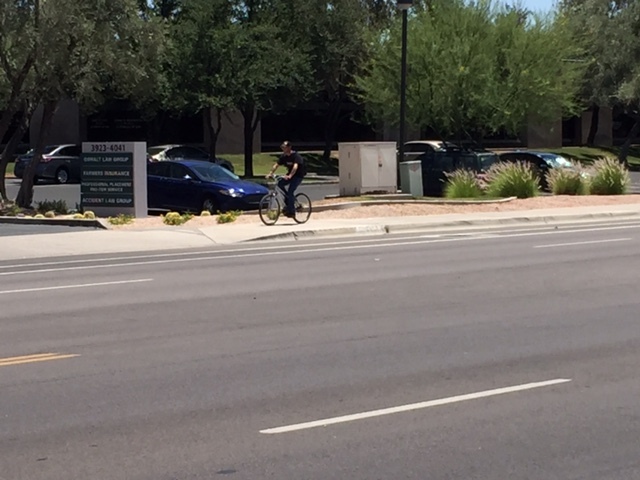 If anybody sees Councilwoman Kuby riding in the McClintock bike lanes, send us a picture!